While Microsoft PowerPoint isn't the most cutting-edge in presentation software, it is versatile and easy to use. It comes in handy for teachers and others who want to quickly and easily share these files with others. The software is perfect for simple re-creations of game shows, which are great for classrooms, parties, your own games, or team-building exercises. PowerPoint Games: All the templates on this site are free to download and use, though not all of them are based on game shows. The graphics are a little clunky, but for classroom or party use, they work just fine. You'll find several game show offerings, including "Who Wants to Be a Millionaire," "Jeopardy," "Hollywood Squares," and "Family Feud." EdGames: These game templates are intended for classroom use, though you could use them for other purposes as well. They're created by the same person who made the templates at PowerPoint Games, though these have better graphics and a slightly more professional look. Not all these games are free, however. Game shows include a "Pyramid"-style game called "What Is Louie Thinking," Big Board Facts," a take on "Jeopardy," and "The Big Wheel," a "Wheel of Fortune" game. JC Schools: In addition to standard game show-based templates, there are a few other highlights here. One is a PowerPoint version of "Are You Smarter Than a 5th Grader?" This version of "Who Wants to Be a Millionaire" includes sound. All these games, intended for schools, are free . Culpepper Online: These templates for PowerPoint are really fun. 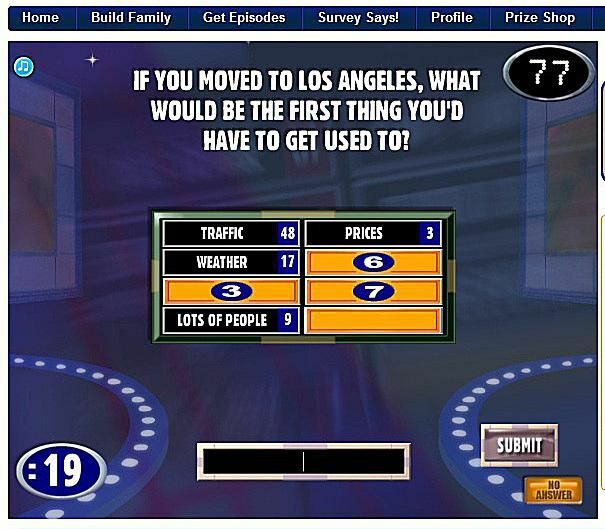 Game shows include "Jeopardy, " "Who Wants to Be a Millionaire," "Hollywood Squares" (called Celebrity Squares), "Family Feud " (called "Class Feud"), "Chain Reaction," and "The Weakest Link." The accompanying text and handouts offer information and help with using these templates. San Clemente High School: While there are only three game show templates here, they're definitely worth downloading. All three games have accompanying sound files, which makes the games a lot more fun to play. Also, in addition to "Who Wants to Be a Millionaire" and the always-popular "Jeopardy" template, this site offers a template for "Cash Cab." Template.net: If free templates aren't doing it for you, consider making a small investment. This site offers PowerPoint templates for free and for a fee. PowerPoint games based on game shows can help make teaching almost any subject more fun, especially if you hand out small prizes for the winners. They're also fun at parties, or you can set them up for just about any kind of presentation that you want to make a little more interactive. If you can't find what you're looking for with a template, consider making your own PowerPoint quiz and playing it out like a game show. What Makes "Big Brother" So Entertaining?